Construction Economist, PQS, BSc., M.A. Niall has managed many aspects of procurement and process improvement as it relates to large international capital projects from ‘Buy-Out’ to the adjustment of ‘Procure to Pay’ processes and systems in relation to changes in contracting strategy. 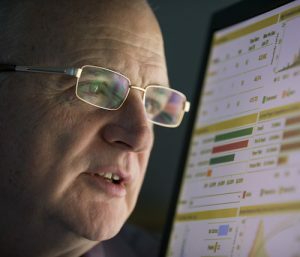 Large International projects are awash with data and Niall has worked with many teams in order to improve data analysis and provide insight and not hindsight when it comes to project reporting especially in the new area of Data Visualisation. Niall has acted as Interim Manager while projects were waiting for key staff to be recruited or as more often the case released from other assignments. He has carried out operational assessments / audits on all aspects of project controls on large capital projects. Coordinated the preparation $Bn + estimates for capital projects. Prepared viability / comparison reports on bids received not only for project work but also from professions services. Provided training for personnel new to the project controls aspects of capital project management. Coached and mentored key personnel in this area. Niall has many years of professional experience holding senior staff positions as outlined below. See below for details of Niall’s positions held to date.